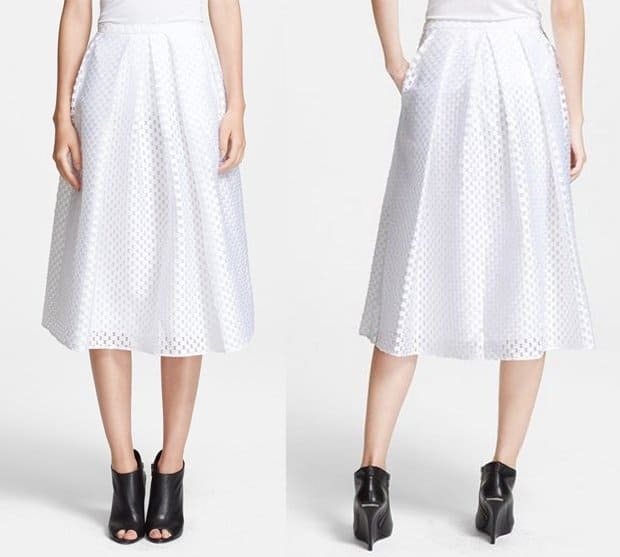 We’ve always thought full skirts take the cake when it comes to versatility. 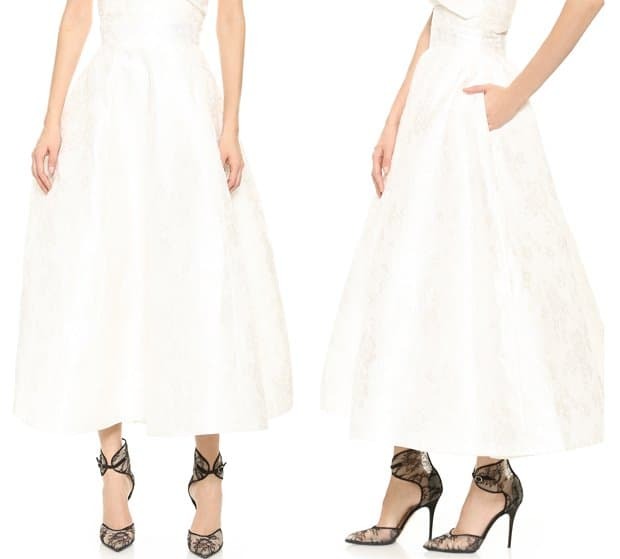 They can be dressed up or dressed down to make them work for different occasions. They’re also universally flattering and can look great on a variety of body sizes and shapes! 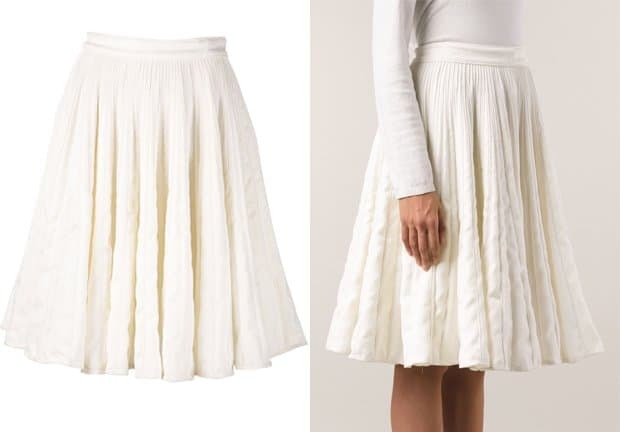 But did you know full skirts can look great on pregnant women too? 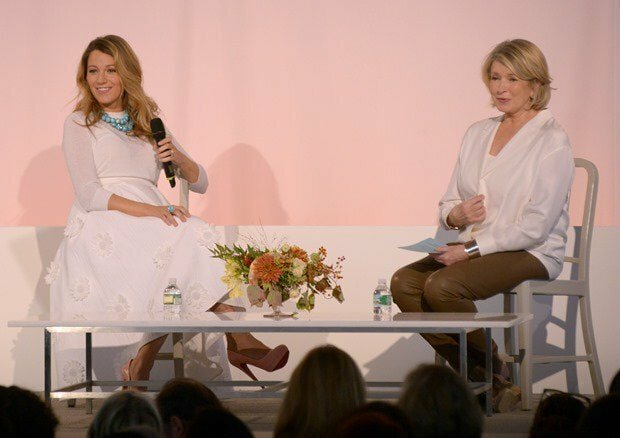 Blake Lively proved that the full skirt is a vital piece in every girl’s closet during her interview with Martha Stewart. 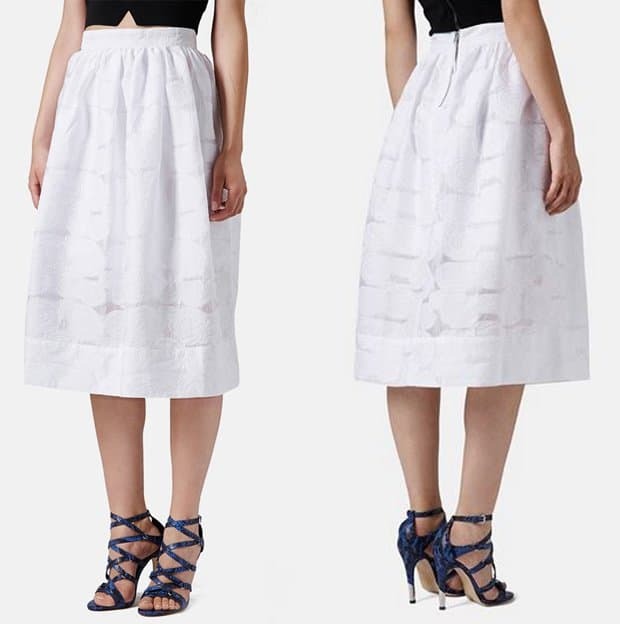 The 27-year-old, who just recently launched her new website, Preserve, chatted to the lifestyle mogul about business, fashion and Ryan Reynolds wearing this gorgeous floral appliqué-adorned white skirt from the Michael Kors S/S 2015 collection. She partnered it with what looks like a bustier top underneath a cropped fine-knit top which is also from Michael Kors. The former ‘Gossip Girl’ actress accessorized with a statement necklace and a pair of Christian Louboutin ‘Alti’ pumps in pink. She chatted amiably with Martha Stewart, despite the latter making bad remarks about Blake’s new website before.